Rachel Harrison (b. 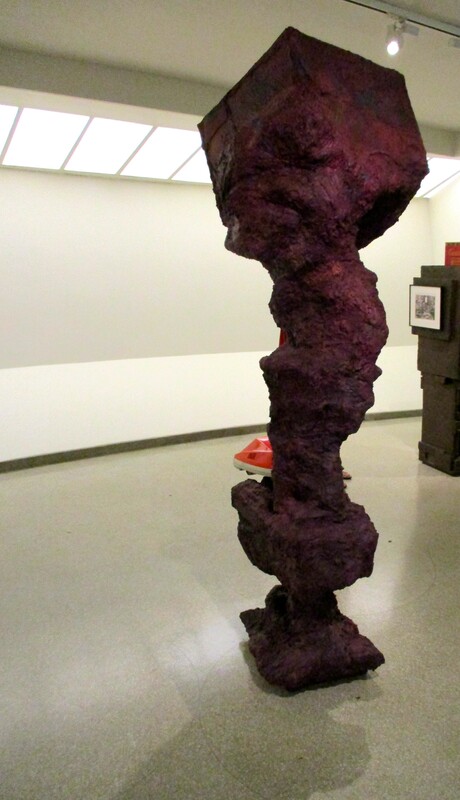 1966) deploys a wide range of influences in her work, combining art-historical and pop-cultural citations with explorations of material, color and form. Her hybrid sculptures enact a range of dialogues — between handcrafted and commercially produced objects, aesthetic and consumer goods, among others — and engage broader social and political histories of exchange. 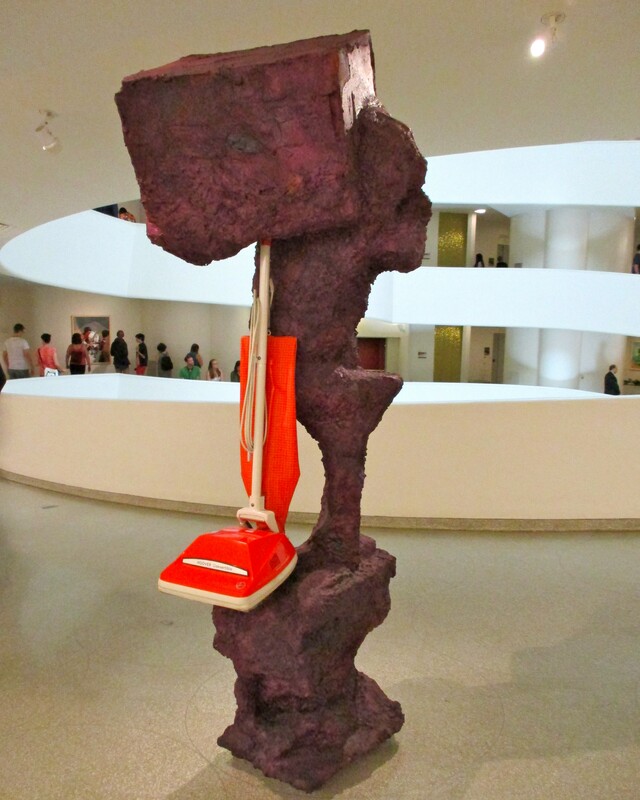 All in the Family (2012), an upright, top-heavy construction painted deep aubergine, acts as a display mechanism for a bright orange Hoover Vacuum Cleaner. This classic domestic appliance poses as a sculptural artifact or a figure from a retro sitcom, while alluding to Jeff Koons’ seminal 1980s series of encased Hoover Vacuum cleaners. 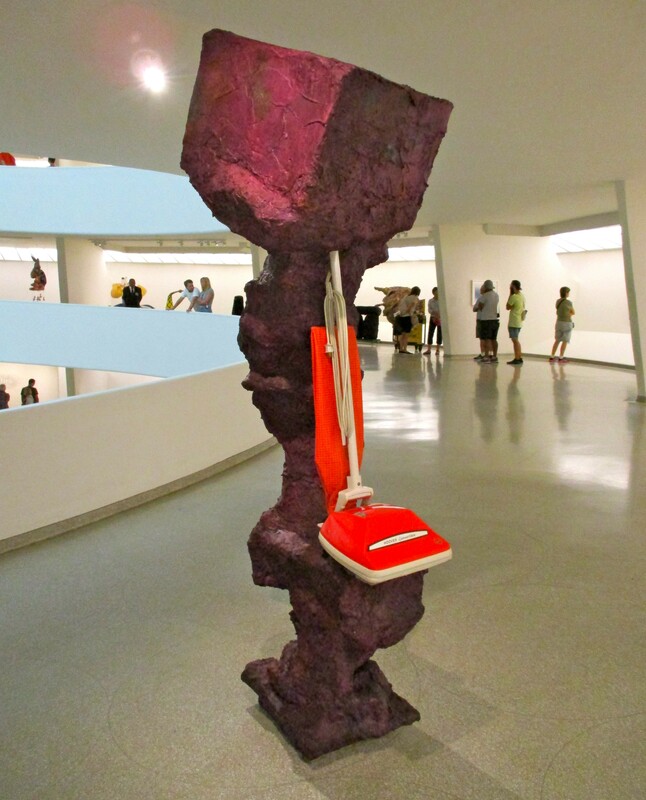 Photographed at the Guggenheim Museum’s Storylines Exhibit.